Scary Terry's World: New adventure, new logo, old friend! New adventure, new logo, old friend! I've been hinting that this Sunday's strip would contain a few surprises-- and here we are -- a new logo panel -- and a guest star! First things first-- yes, that's Mandrake the Magician and Narda riding into the Deep Woods. When I first started drawing the Sunday Phantom strip, writer Tony DePaul asked me if there was anything I'd particularly like to see in upcoming stories, and the first thing that popped into my head was a Mandrake cross-over. 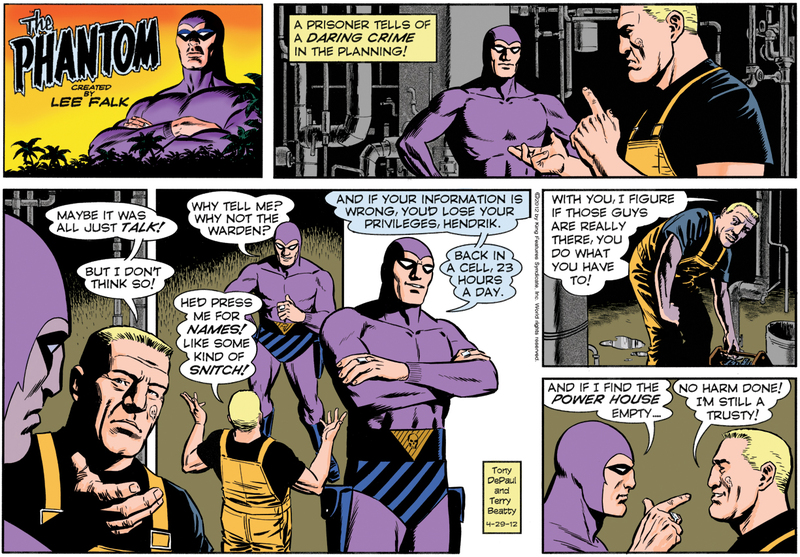 Lee Falk's two classic comic strip heroes had appeared together before. Mandrake showed up as a guest at the Phantom's wedding -- and Phantom has made multiple appearances in the Mandrake strip (see here for a full list). The heroes also teamed up with fellow King Features star, Flash Gordon, for the TV cartoon series, Defenders of the Earth -- as well as a comic book adaptation of same. 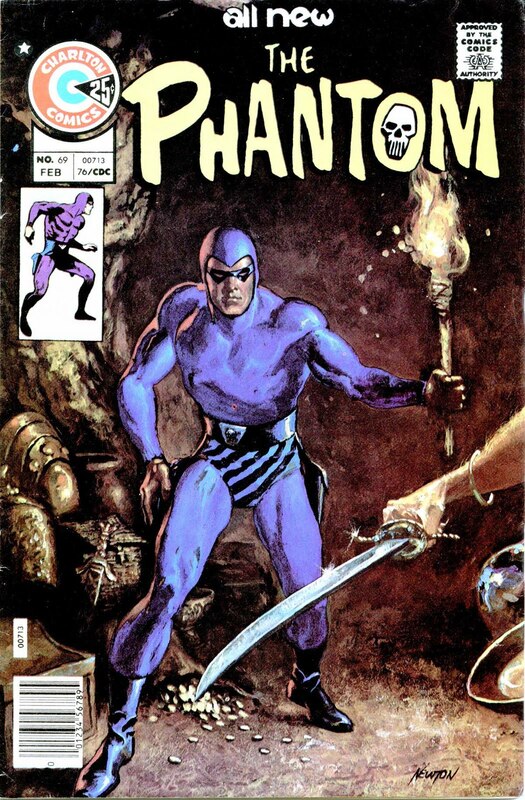 But there's never been (as far as I know) a full length crossover adventure in the Phantom strip. Until now. Thanks to Tony for asking, and our editor at King for giving us the go-ahead! 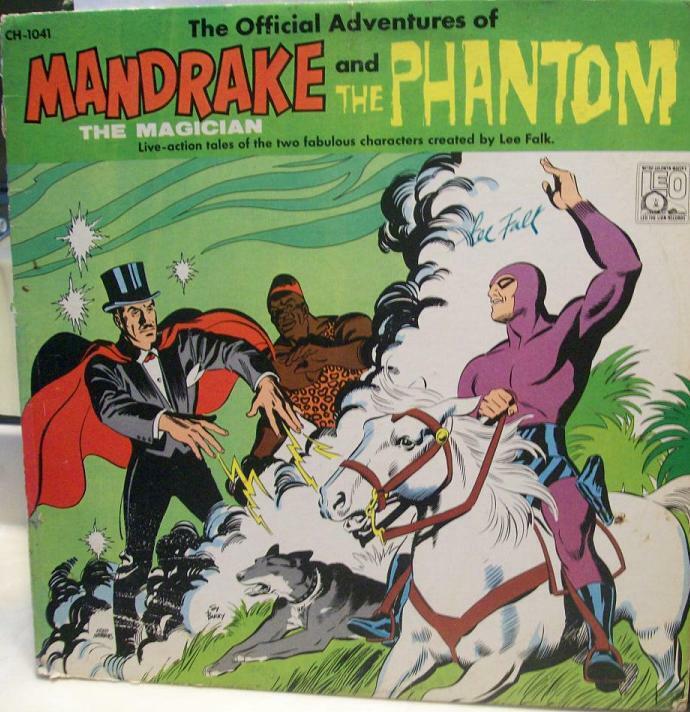 Here are Mandrake and the Phantom pictured together on the cover of a vintage record album -- I'm uncertain, but I suspect their adventures on the LP are separate, and not a team-up. Art by long-time Mandrake and Phantom artists Fred Fredericks and Sy Barry. This copy seems to be autographed by the writer/creator Lee Falk! Image found on the web. The final Mandrake Sunday continuity was a team-up adventure. Here's the beginning of Shadows on Devil Road. The Mandrake daily strip still runs -- written and drawn by Fred Fredericks. 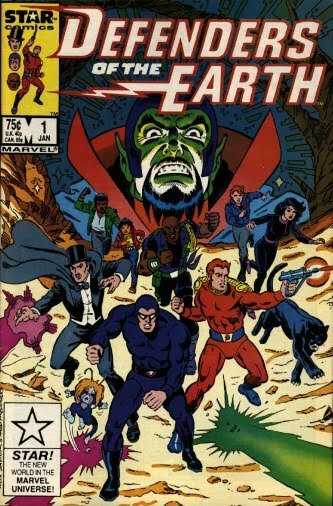 Marvel Comics published a comic book version of Defenders of the Earth as part of their Star Comics line. There have been many different logo panels for the Sunday strip over the decades. Here are several of them, starting with two by Ray Moore. A classic Sy Barry logo panel. Paul Ryan's logo panel that was appearing when I landed the Sunday strip assignment. Still following the arms-folded looming over the jungle concept of the Barry logo. I don't know if too many people noticed -- but the version of Paul's logo panel that has appeared on my Sundays was (digitally) re-inked by me. The copy of the panel I was given to work with wasn't vary sharp -- so I redid it in Manga Studio to have a cleaner version. It proved a nice warm-up to inking the first Sunday. 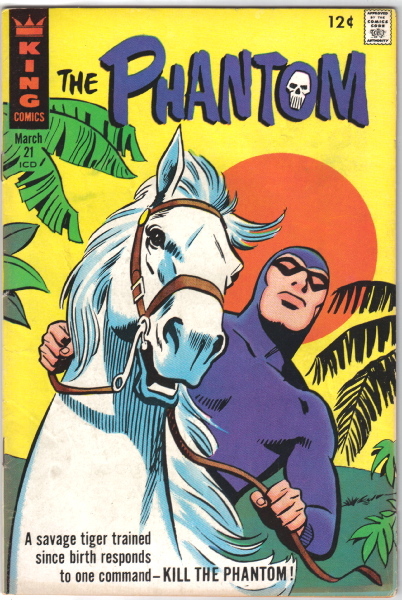 I always liked the Phantom logo that appeared on the King and Charlton comic books -- the inset skull being my favorite element. My new logo panel maintains the classic arms folded pose, but places the figure in front of a jungle background, rather than looming over it. The figure is based on one from an early Sunday in the Power House Gang story -- but the image flopped -- and the Phantom's smile changed to a more serious expression. The previous logo lettering is replaced by a redrawn version of the comic book logo. I kept a similar color scheme to the previous version of the logo panel so the change wouldn't be too big a shock for the readers. I'm quite pleased with the end results -- and am amused that, maybe because of using the vintage comic book logo, the whole thing looks to me like a title card from a never-produced '60s Phantom TV cartoon! I really love the new logo. I also really really love the colors in the lasts sundays. Thank you, Emile and tejas. I'm doing my darndest to give you the best strip I can, despite the constraints of the small print size we're dealing with these days. Also like the new logo, with its "shout out" to the older days of Phantom comics... back when everything in superhero comics weren't so dern dark and gritty. Lee Falk was known to like artists to depict a smiling Phantom as much as the grim, serious Phantom. Also liked seeing Mandrake in jungle attire, as the idea that he is constantly wearing his stage outfit is ridiculous. I remember plenty of older strips where he would be dressed appropriately until it was time to start catching bad guys. Looking forward to the upcoming crossover. Terry, wish you could take over the daily Mandrake strip someday! I'm happy to leave the Mandrake daily strip to its long-time artist, Fred Fredericks. Drawing just the Phantom Sunday gives me time for personal projects and is a perfect fit for me. Hey Terry: love everything you are doing with the Sunday strip! Keep up the "non-formatted" layouts and the colors! On the new masthead: Like the inclusion of the skull in the O, but the rendition of the Phantom seems a little cartoon-y. The more mysterious the better for me. Some of my favorite panels during the Barry era were the one's where the Phantom was "lording" over an antagonist ( or a protaganist!) in a smokey dim background. Oh man, I'm a sucker for a crossover. You're really doing a great job on the strip, Terry. Planet ComiCon April 6 & 7!